Mexico's solar market is in a "comfortable spot" after record-low prices for PV projects undercut wind in last September’s auction, said experts at a solar briefing in Mexico City last week. “Mexico’s permitting scheme was not getting the job done, and while there was an abundance of small power producers and self-supply permits, an 8-gigawatt pipeline of projects was not getting off the ground,” said GTM Research solar analyst Manan Parikh in a presentation. Those projects have not disappeared. They now have the chance to move forward, said Parikh, who led the seminar organized by GTM. Solar currently accounts for 19 percent of Mexico’s renewables capacity, compared with wind’s 81 percent. That amounts to 3.8 gigawatts of wind and 390 megawatts of solar. Parikh labeled the March tender "the Yucatan auction" because the state secured one-third of the capacity awarded, despite having the highest nodal prices. That raised speculation that the region, along with Baja California Sur, was given a "price handicap" to make it more competitive. While expectations were tempered going into the second auction in September, solar dominated again. Prices were 34 percent lower than in the first action, at $26.99 per megawatt-hour in the northern state of San Luis Potosí, and averaging $36.12 across the country. The highest prices were in Chihuahua, at above $49 per megawatt-hour. The September auction also marked the entry of new names, such as Engie and Enel Green Power, as developers look to diversify their portfolios. Mexico’s auctions follow a distinct trend across Latin America over the last four years. With auctions becoming more common in the region, prices continue to hit record lows. The Mexican auctions supported both the largest capacity projects and the lowest prices in the region. In the third auction, which will kick off in April, state utility CFE will no longer be the sole purchaser. A trading house will be established to award and manage contracts with the winners, according to Luz Aurora Ortiz Salgado, deputy director general at the energy ministry’s national electricity system and nuclear policy unit. With the CFE no longer the sole bidder, price competitiveness is expected to increase. The publication of regulations for distributed generation by the government last December will also give solar a boost, said Ortiz Salgado. Solar growth in Mexico will likely spawn local component manufacturing as the industry looks to avoid the 15 percent import tax currently levied on solar panels, she added. Parikh estimates upfront costs to be closer to $70 per megawatt-hour. If prices go any lower, projects will cease to be viable. He also forecast that winning solar projects in the next auction will likely be closer to the country’s central region and the major manufacturing centers, as well as in the Bajío region, which is a hotbed of automotive production. Price expectations for the third auction were between $30-$40 per megawatt-hour among the majority of respondents to GTM’s in-seminar survey. However, after Mexico’s peso suffered in the wake of President Trump's election, currency depreciation remains a concern. “Currency risks could [scuttle] all of the progress,” Parikh said. Other risks could emerge from a renegotiation or scrapping of NAFTA, although such a scenario could benefit Mexico in the long term as it seeks to build trade ties with other markets. Solar demand may grow to 4 gigawatts by 2020, according to local solar power association Asolmex, which forecasts $5 billion in investment in the solar sector to that date. Falling component prices will make solar more attractive. But despite a 20 percent drop in module costs in Mexico over the last five years, the country has only seen a 10 percent decline in overall system pricing. 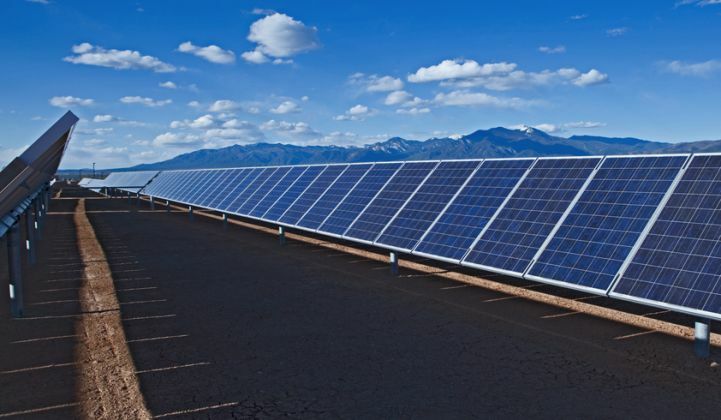 The country is lagging behind the U.S., where customers have seen a 45 percent decline in system pricing, and where $1 per megawatt-hour is achievable over the next 10 years, according to MJ Shiao, GTM’s director of solar research. Mexico and other Latin American countries are expected to join that trend as prices fall at auction, and solar becomes increasingly competitive against other energy sources. Latin America is becoming a significant solar player on the world stage, accounting for 10 percent of the global industry, Shiao said. And Mexico is on the right track in terms of its energy reform, according to Brett Blankenship, a research director at Wood Mackenzie. “Mexico is moving toward a wholesale power market, its reform has drawn on successful models from around the world, and its long-term contracts deliver price certainty," said Blankenship. Blankenship said load growth is the single most important thing to watch. “Load growth is seen rising to 500 terawatt-hours by 2035, while load intensity to GDP is seen dropping to below 200 gigawatt-hours per peso of GDP by 2034. The load will dictate demand for clean energy resources," he said. By 2050, said Blankenship, clean energy will likely make up half of Mexico's generation, "dominated by solar." For more insight into Latin America's solar market, downlod the latest executive summary of GTM Research's Latin America PV Playbook.